The past few days I have desired to write, but did not know what I should write. I have had several things on my mind: my job as a Registered Nurse, the great commission, the law of Christ and a discovery that I made just yesterday in The Gospel According to John. I have a great deal to say about all of these and will write about them in the days to come but today I would like to reflect on the why I write this blog. I have never had much of a following, therefore, my persistence in writing is not connected to popularity. If you’ve interacted with me at all you would know that for the most part I’m a quite shy man. Writing this blog has given me a medium on which I might express what I have been thinking and learning to other people. I truly love the Lord and His word; therefore, I desire to tell people about Him and all that He commanded. 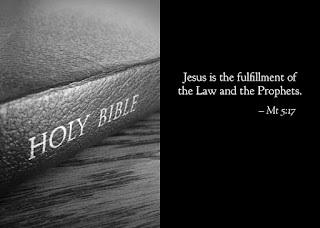 Jesus is the fulfillment of the Law and the Prophets. (Mt 5:17) In other words, He is the fulfillment of everything that is written in the Old Testament. On the first anniversary of this blog I wrote a blog called Beginning Word (John 1:1-5) in which I committed to memorizing The Gospel According to John because I wanted to know the Lord better. I have been reciting a portion of this book everyday for the past seven years in addition to reading the other books in the Bible. I have to tell you that nothing on earth can change your heart and mind like the word of God and it is because of my love for the Lord and His word that I write and Lord willing will continue to write.